Item # 312465 Stash Points: 19,995 (?) This is the number of points you get in The Zumiez Stash for purchasing this item. Stash points are redeemable for exclusive rewards only available to Zumiez Stash members. To redeem your points check out the rewards catalog on thestash.zumiez.com. 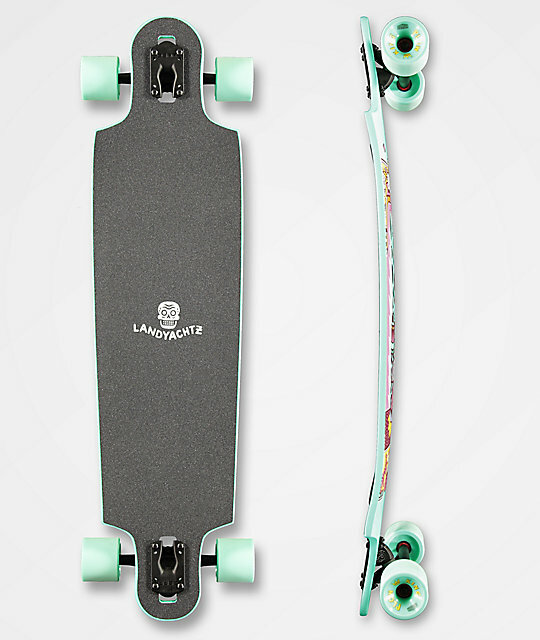 Bomb hills like never before with the Landyachtz Drop Cat Illuminacion 38" Drop Through Longboard Complete. A drop through construction keeps things stable by providing a lower center of gravity, while the 180mm Bear trucks help keep things stable as well. Abec 7 bearings carry and pick up speed excellently and the Plow King 72mm, 78a wheels will grip just about any corner in smooth style. 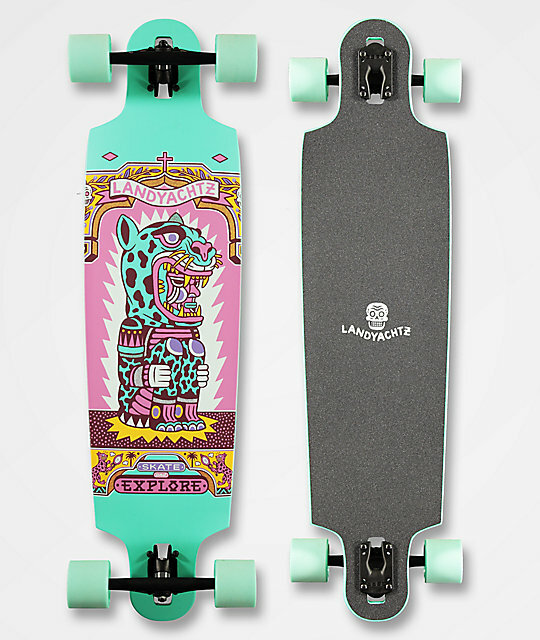 Drop Cat Illuminacion 38" Drop Through Longboard Complete from Landyachtz. Plow King 72mm 78a wheels. Space Balls Abec 7 bearings.